You'll find a variety of different styles, making it easy to get the right one for your home. Whether rustic or modern design, you'll find help to get a look that would cost thousands of dollars to buy already built. The plans below have everything you need to get started on your next project. Detailed diagrams, color photos, videos, step-by-step written building directions, and helpful tips will help you succeed. Once you've successfully tackled some of these projects you may even want to try building your own home! Tip: If you're looking for free resources for your woodworking project, here are some tips on how to get free lumber. Before you dive into your project headfirst, you're going to need a workspace where you can really get going on your projects. These plans will help you build a space where you can do just that. The plans for the bookcases vary in design and number of shelves but you should be able to find a project you are willing to tackle. The result will look great in your home. A larger woodworking project that's still good for a confident beginner is building a shed. They can take a few days to build but the result is worth the effort. These plans include everything you need to build a shed you can use for storage or yard work. The plans are available in a variety of different styles. You also may want to consider building a garage to get even more storage space. Another great woodworking project for a beginner is building a coffee table. They can be built using a wide variety of plans that range from a simple to a more complicated coffee table with shelving. Contemporary, rustic, modern, and mission-style plans are included here, making it easy to get the look you want. Every yard can benefit from a picnic table, and these plans will help you build one your family can gather around in the warm summer months. These plans include projects for small, large, octagon, round, folding, and hexagon picnic tables. Here's a woodworking project that will take you a day to build for no more than about $100. These free dog house plans are a satisfying project that will shelter your dog and look great in your yard. There are plans here from basic doghouses all the way up to doghouses that might even look better than your own home. If you're a pet lover, you'll also want to check out these free plans for cat trees and rabbit hutches. These plans for wine racks result in a great looking project you can give as a gift or keep for yourself. These free desk plans are a great beginner to intermediate woodworking project. It's very possible to build a great looking desk for your home for a fraction of the price of buying one. Here are some plans that will help you build what most cooks want in their kitchen — an island. You'll find a wide variety of styles and sizes of kitchen islands that will look great in just about any kitchen. If looking for another kitchen project, consider these free farmhouse table plans. These free chicken coop plans will work in yards of all sizes. There are small basic chicken coops, all the way up to larger and more stylish coops that really make a statement. All the woodworking plans for these chicken coops will provide your chickens with a warm and safe place to nest. Here's a bigger indoor woodworking project for some of you who surpass the beginner status — a home bar. These home bars can be simple or fancy, but they'll all be a gathering place in your home. This set of plans for an Adirondack chair is a perfect woodworking project for the beginner, and you won't break the bank building one. Get ready to tackle a big project with these free plans that will help you build a deck. They will take you through the process step by step. Gazebos often are more decorative and elegant than decks or pergolas, and you may find that the beauty of a gazebo would look great in your yard. While not quite as big of an undertaking as a deck, these free pergola plans will help you build a simple structure to give your family some shade from the sun. If you have children or grandchildren, you'll want to look at this list of free treehouse plans. Imagine how much fun the kids will have playing out their childhood in these playhouses in the sky. If you don't have a tree suitable for a treehouse, there also are plans on the list for free-standing treehouses. If building a tree house sounds a little too advanced for you, consider building a playhouse instead. Here are some free plans that will help you build something your children would love to have in their room — bunk beds. Bunk beds are a great beginner woodworking project that will really make something you and your kids can cherish for years to come. Also, consider these free plans for loft beds, platform beds, and other types of beds. If you're an avid gardener, you won't want to miss these free plans that will help you build a greenhouse for your yard. These plans can make gardening all year become a reality. Besides having free birdhouse plans, there also are a lot of great tips here on how to choose and modify a plan. These free router table plans will help you in your other building projects. The plans will guide you through the process of building a router table so you can have even more control over your router work. Your kids will be begging for you to choose one of these free plans so you can build them a swing set in their backyard. This group of plans will help you build a smaller cabin, and includes everything you need for a nice getaway in the woods. These plans will guide you along your way in building a deer stand, in particular, a free-standing deer stand and for a deer stand in a tree. Challenge your skills with these free plans to help you build a tiny house. 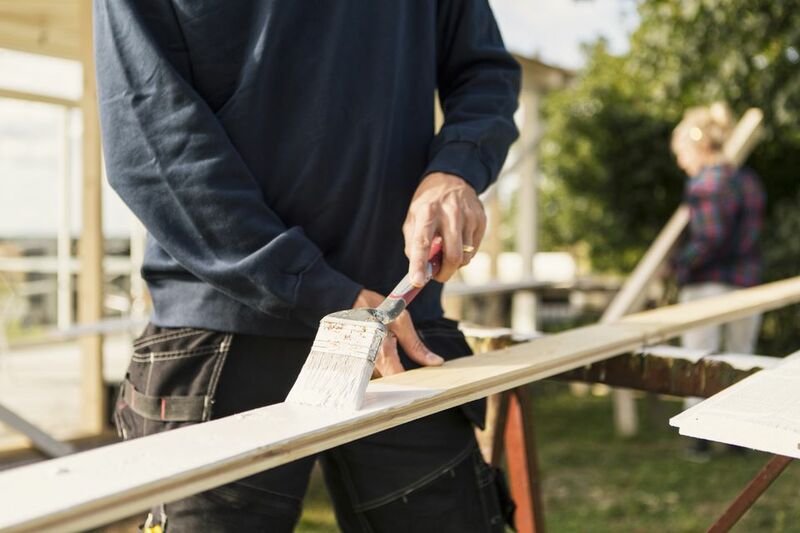 There are several options of plans available to work with depending on the size of the tiny home and the features you want. These plans will help you build something special for your community: A Little Free Library is a fairly straightforward project that should be fun for anyone. Also, consider this list of free TV stand plans if you're looking for a simple console for your TV. These free plans use pallets exclusively for the main part of the furniture. They are great plans for a beginner or even an experienced woodworker wanting to try something new. This set of intermediate and advanced woodworking plans will give you what you need to build a dresser or chest of drawers. There are a dozen plans to choose from, so you should find something for whatever room you're looking for. These potting benches will be a lifesaver for your back when it's time to start the spring garden.